I hope you had a wonderful Memorial Day weekend and got to enjoy some relaxing time with family and friends, near or far. I stayed near home but certainly did enjoy some time to decompress. The last week was an intense one at the 9-7 day job, so not having planned much was exactly what my body and mind needed this past weekend! Summer has peaked its head out previously for us in Southern California, but this weekend definitely had more of the true summer feeling to it. Friday night here in LA was a particularly clear evening, and I walked over to a friend’s house for a cocktail and some laughs to end the night (we actually DO walk in LA). 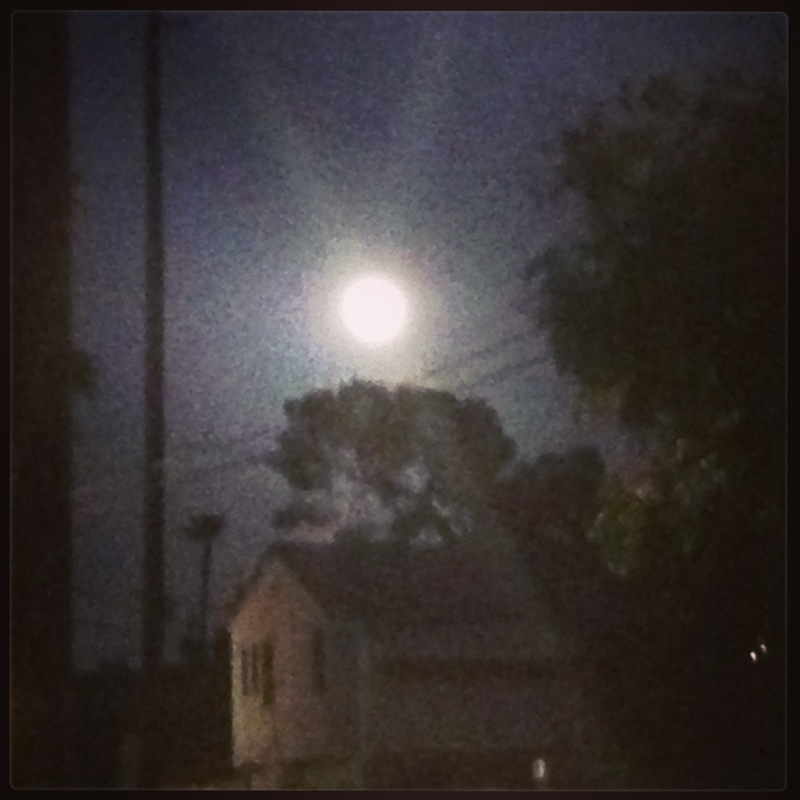 On my way, I was floored by the brightness of the full moon – at 8:30pm, the moon shone so bright that even the dark parts of the three block walk were still well lit. even the bright happy moon celebrated the long weekend! Having caught up on some house chores, I enjoyed a nice long walk with Mr. Bings through my neighborhood in the early evening on Saturday. 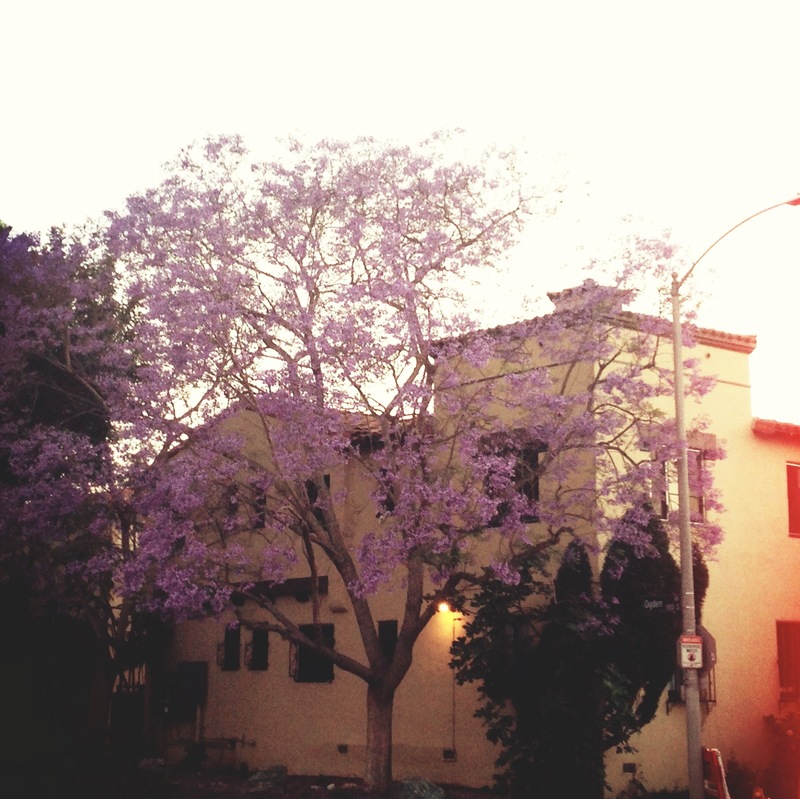 It was impossible to miss the incredibly bright purple blooming Jacaranda trees bursting on nearly every street in the area – I’m kinda proud that Forbes recognized my Miracle Mile neighborhood as being one of the best areas in LA to see the Jacaranda tree during its somewhat rare bi-YEARLY blooming season!! the gorgeous Jacaranda trees are currently in season and bursting with color. 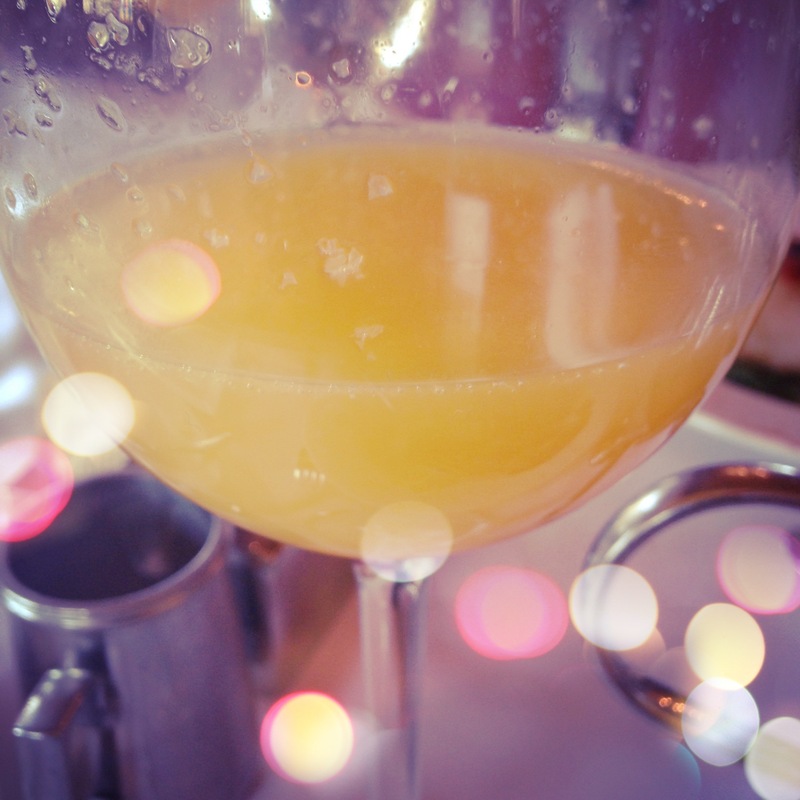 Finally, Joe’s Restaurant in Venice was the perfect setting for a bottomless mimosa Sunday brunch with a girlfriend, followed by some ‘treat yo self‘ time at the spa!! Hopefully the short week won’t feel so long after the extended weekend… but it was certainly the perfect unofficial start to my summer. Next on the agenda: vacation planning! And I’m looking for inspiration and ideas – I’m tossing around a 4-5 day vacation to Hawaii, a week-long stay in Martha’s Vineyard, a 4-day stay in Big Sur and Carmel, CA, or some other great place to get away and do lots of nothing and maybe a little (or a lot) of eating fabulous food and enjoying delicious wine. Any ideas and suggestions? I would love to hear them!! Have a wonderful week, mes bons amis!! This entry was posted in belle vie and tagged holidays, la prèsente, summer, travel, weekend by rebeccawenstrup. Bookmark the permalink.